If you want access to your Windows account (and not just access to your files), you can reset your password quite easily. Learn, in this guide, how to burn a password reset disc and how to boot from it and reset your Windows account password. Warning: Do not reset your password if you’ve used Windows to encrypt your files. Instead, attempt to crack your Windows password to regain access to these files. Microsoft Security Essentials (MSE) has been around for some time and has proved to be a popular, free anti-virus program. In this guide, I’ll show you how to configure MSE, what all the options mean, and some advanced tips to make the program run optimally for you. 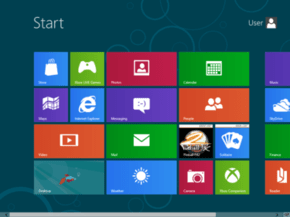 Windows – 8 steps to get it right? Windows “version 8” is upon us. Bringing changes to the old, the safe, the familiar. Some say the changes are for the best. Others dread them, swear to keep the Seven (or XP) for a long time to come. Some even say they will never abandon XP as long as there’s hardware to support it. That is how changing things affect us. However, things that seem new and daunting will undoubtedly after a period seem like the most natural thing in the world – something you just can’t imagine life without. Do you think that the changes in “Version 8” are something you can live without ? Some 20 years ago when Windows had reached the age of 3, people had not yet gotten used to the expressions “Double-click” or “Right-click”, “Drag and Drop”, “Minimize”, “Maximize”. Common users also were quite skeptical to this new fancy gadget called a “Mouse”. Very few people could imagine using this “contraption” for work and even fewer seeing it as a time-saving device. Can you imagine life without it today? Maybe you have to – the introduction of smart-phones, tablets and the upcoming Windows 8 – might force you to re-imagine life – without it… back to square one as it were. Some of the programs that we use in Windows, have a system menu containing an option – Always on top. If selected, this feature sets a window to be always on top of other windows. This is very useful if you want to work across multiple windows but want to focus more of your attention on a particular window. You can set that window to be always on top and keep an eye on it. I personally use this feature to set my TV Tuner window to be always on top so that I can enjoy TV programs while doing work at the same time. Previously, we asked you if you use the Windows command prompt and many of you answered and stated you do not; for those that do use the command line interface (CLI), many use it infrequently. In this guide, we’ll go through the basics of the command prompt, show you examples of how you can use it, and show you how to customize it.